Ensuring Omni Channel experience is not just basic yet indispensable for the business to ensure uniform and flawless across different channels. It is equally important to comprehend the difference between Omni Channel Testing and Multi-Channel Testing. Omni Channel testing is executed when the same application is tested crosswise over various platforms or devices for consistent user experience. 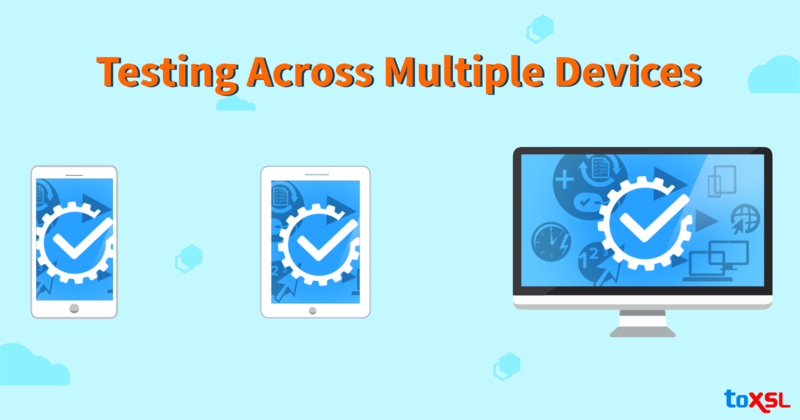 Multi-Channel testing is done when users need to perform common tasks on desktop, mobile, and tablet devices to determine any issues. Making Applications Compatible: Devices with multiple dimensions and configurations is one of the core reasons behind moving in the direction of conveying a reliable experience. Thus, Compatibility Testing is actualized to guarantee reliable experience in the overall Omni channel testing technique. These tests are structured to focus on the mobile device and OS fragmentation. Compatibility Testing is a kind of non-functional software testing which helps to evaluate the application's performance across Operating Systems, browsers, mobile devices, and network conditions. Ensuring Accessibility and Usability of the Application: This is another sort of non-functional assessment of your application across the digital spectrum. For reliable experience, it is important to test the application for its accessibility across differing systems and dimensions. This is at the core of every application development process that helps to upgrade the overall experience for the users and evaluates whether the application can convey the normal experience. Validating Performance of the Application: An application is generally welcomed by the users only when it is always available, dependable, and its execution is approved crosswise over different devices. Performance Testing is a quintessential viewpoint during the process of Omni Channel experience testing. It focuses mainly on the execution aspects that confirm the application's consistency independent of the environmental pressures on it. To address the above challenges and deliver a value-added service, ToXSL Technologies has an experienced and professional team of software testers. They leverage proven methodologies, methods, procedures, rules, and a tool and technology agnostic framework to ensure successful and productive testing and approval of all the applications along with its interfaces.